Why are you being so nosy? The registration questions are a survey by the NephMadness team and are completely optional. * We would appreciate your answering these questions to help us improve future NephMadness events. We respect your privacy and if any data (beyond the user ID; see below) are published/disseminated, they will . Of the personal information you enter at registration, the only information that is shared publicly is your user ID (may also be referred to as your username or alias), which is required for registration. The email address provided will only be used for contacting you about the contest (which you can opt out of) or in the case of winning a prize. *Note: The “Which best describes you?” registration question must be answered to be eligible for the Medical Student, Resident, Fellow, or Attending Grand Prize (see below). The “If this bracket is affiliated with a group, enter the name of that group here” question must be answered to be eligible for the Most Entries Group Prize. The “If this bracket is a group entry, enter the group name followed by the word OFFICIAL” question must be answered to be eligible for the Highest Scoring Group Prize. NO PURCHASE OR PAYMENT OF ANY KIND IS NECESSARY TO ENTER OR WIN THIS CONTEST. A PURCHASE OR PAYMENT OF ANY KIND WILL NOT INCREASE YOUR CHANCES OF WINNING. CONTEST IS VOID WHERE PROHIBITED BY LAW. SPONSOR. American Journal of Kidney Diseases (AJKD). 423 Guardian Drive, Blockley Hall #812, Philadelphia PA 19104. ELIGIBILITY. Contestants must be at least the age of majority in the country of residence (for contestants in the United States, at least 18 years of age). The NephMadness Contest (“Contest”) is open to anyone of majority age; however, employees of the Sponsor (including the AJKD Editor-in-Chief, Deputy Editors, Associate Editors, Education Editor, Statistics/Methods Editors, Pathology Editor, International Editors, Feature Editors, or editorial office staff), the AJKD Blog/NephMadness team, the NephMadness bracket selection committee, the NephMadness Blue Ribbon Panel, or members of their immediate family, are not eligible to win prizes. By entering the Contest, contestants agree to abide by all terms of these Official Rules and the decisions of the Sponsor. The Contest is subject to all federal, state, and local laws and regulations. Eligibility, age, and all claims made by potential winners are subject to verification. III. ENTRY PERIOD/CONTEST PERIOD. The period for entering the tournament prediction arm of the Contest begins March 15, 2019 at 3:00 am EDT, and concludes on March 31, 2019 at 6:00 pm EDT. ** The Contest will end on April 8, 2019 at the time an AJKD Blog post announces which medical concept has been selected as the tournament champion. **The period for entering the competition for Best Tweeter, Best Blogger, and Best Party starts on March 15, 2019 at 3:00 am EDT, and concludes on April 8, 2019 at the time the NephMadness tournament champion is announced. CONTEST OBJECTIVE. The goal of the tournament prediction arm of the Contest is to correctly predict the outcome of a March Madness−style tournament composed of paired matches between medical concepts (see NephMadness Tourneytopia site for medical concepts and matches). The outcome of each match is determined by majority vote of the NephMadness Blue Ribbon Panel (consisting of Dr. Michael J. Choi, Dr. Deidra Crews, Dr. Sarah Faubel, Dr. Melanie Hoenig, Dr. Holly Kramer, Dr. Eleanor Lederer, Dr. Fiona Loud, Dr. Mark Okusa, and Dr. Roger A. Rodby); NephMadness Head Administrators Drs. Joel Topf, Matt Sparks, Anna Burgner, and Timothy Yau, who are all members of the AJKD Blog team, will facilitate the activities of the Blue Ribbon Panel but will not have voting power. In the event that member(s) of the Panel are not able to participate due to unforeseen circumstances, NephMadness Head Administrators may at their discretion appoint replacement(s) or recuse an existing member in order to maintain a Panel containing an odd number of members, thus resulting in simple majorities upon voting. Each member of the Blue Ribbon Panel will select the medical concept that in his/her best medical judgment holds the most significant and promising benefit for the future of nephrology, weighting evidence-based medicine over eminence-based medicine. The results of each match will have been determined by March 31, 2019 before the announcement of the first round tournament results and will not be changed thereafter over the course of the Contest. The points accrued for each correct prediction are outlined in the “Scoring Details” section of the NephMadness Tourneytopia site (www.tourneytopia.com/AJKD/NephMadness). For the Best Blogger and Best Tweeter prizes, the NephMadness Head Administrators will judge and determine the winner of each with criteria based on quality of content, enthusiasm, and amount of content produced. For the Best NephMadness Party group prize, the NephMadness Head Administrators will judge and determine the winner based on creative use of the relevant medical concepts in a festive environment, quality of tweets regarding the event, and number of event participants. HOW TO ENTER. To enter the tournament prediction arm of the Contest, go to the NephMadness Tourneytopia Entry Site at www.tourneytopia.com/AJKD/NephMadness to register (if not already registered) and submit a complete bracket of predictions of each match (“Prediction”). In order to be considered a complete submission, the only information required is the contestant’s Prediction and the information necessary to register for Tourneytopia (that is, first and last name, username [ie, user ID or alias], and a valid email address); the user ID (ie, username or alias) will be publicly visible. In order to collect prizes, winners will be required to provide additional information, including legal name and shipping address. As part of submitting a Prediction, contestants will be asked to voluntarily provide additional information about themselves as part of a research survey that the NephMadness/AJKD Blog team is conducting. Providing this additional information is NOT required in order to participate in the Contest. However, the “Which best describes you?” registration question must be answered before the time the NephMadness tournament champion is announced on the AJKDBlog on April 8, 2019, to be eligible for the Medical Student, Resident, Fellow, or Attending Grand Prize. In addition, The “If this bracket is affiliated with a group, enter the name of that group here” question must be answered to be eligible for the Most Entries Group Prize. The “If this bracket is a group entry, enter the group name followed by the word OFFICIAL” question must be answered to be eligible for the Highest Scoring Group Prize. In the submission process, the prompts for additional, optional information are clearly labeled as such. Any Predictions more than two (2) submitted by the same email address will be considered null and void. All Predictions must be submitted by 6:00 pm EDT on March 31, 2019. Entries must be made by the contestant only at the Entry Site. Entries made by any other individual or any entity, and/or originating at any other web site or email address, including, but not limited to, commercial Contest subscription notification and/or entering service sites, will be declared invalid and disqualified for this Contest. To enter the Best Tweeter prize competition, contestants must tweet via Twitter about NephMadness, including the hashtag #NephMadness and/or the handle @AJKDonline, between March 15, 2019 at 03:00 am EDT and the time the NephMadness tournament champion is announced on April 8, 2019. 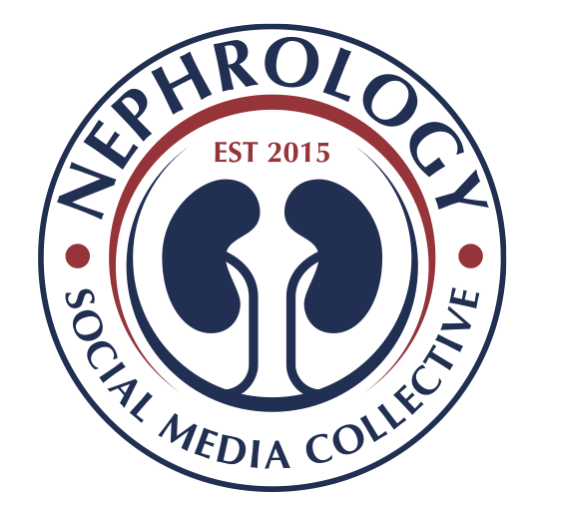 To enter the Best Blogger prize competition, participants must, between March 15, 2019 at 03:00 am EDT and the time the NephMadness tournament champion is announced on April 8, 2019, publish at least one blog post pertaining to NephMadness and bring it to the attention of the NephMadness team by email to AJKD@pennmedicine.upenn.edu, or by tweeting using the hashtag #NephMadness and/or the handle @AJKDonline before the NephMadness tournament champion is announced on April 8, 2019. To enter the Best NephMadness Party prize competition, a photo of the event must be tweeted via Twitter, with the tag #NephMadnessParty, between March 15, 2019 at 03:00 am EDT and the time the NephMadness tournament champion is announced on April 8, 2019. Grand Prizes. At the conclusion of the NephMadness tournament, five (5) Grand Prize Winners will, subject to verification and compliance with the terms of these Rules, be declared. The Grand Prize Winners will be (i) the eligible entrant with the top overall score and, after the top overall score is discarded, the top-scoring eligible entrant among those identifying themselves as either a (ii) Medical Student, (iii) Resident, (iv) Fellow, or (v) Attending in response to the “Which best describes you?” registration question. In the event that two (2) or more top-scoring contestants are tied, the prize will go to the contestant with the highest number of correctly predicted final four (4) medical concepts in the tournament. Further tie breakers, if needed, will be determined by the contestant with the highest number of correctly predicted medical concepts each preceding round (the eight  top concepts and the sixteen  top concepts). If a tie is still present, the contestant who submitted the earlier/earliest entry will be selected. Each entrant may win only one (1) prize. All decisions of the Sponsor will be final. Best Blogger, Best Tweeter, and Group Prizes. The winners of the Best Blogger and Best Tweeter prizes will, subject to verification and compliance with the terms of these Rules, be declared based on the criteria and process described in the Contest Objective and How to Enter sections. The winners of the Most Entries, Highest Score, and Best NephMadness Party group prizes will, subject to verification and compliance with the terms of these Rules, be declared based on the criteria and process described in the Contest Objective and How to Enter sections. Grand Prizes. The entrant with the top overall score (see Determination of Winners section) will be awarded the following: Brenner and Rector's The Kidney, 10th ed, by Karl Skorecki, MD, FRCP(C), Glenn M. Chertow, MD, Philip A. Marsden, MD, Maarten W. Taal, MBChB, MMed, MD, FCP(SA), FRCP and Alan S.L. Yu, MD (approximate retail value [ARV], $375.00). The top-scoring eligible Medical Student, Resident, Fellow, and Attending (see Determination of Winners section) will each receive one (1) of four (4) copies of National Kidney Foundation Primer on Kidney Diseases: Expert Consult - Online and Print, 7th ed, by Scott J. Gilbert, MD, and Daniel E. Weiner, MD (ARV, $80.00). Best Blogger, Best Tweeter, and Group Prizes. The Best Blogger and Best Tweeter will each be awarded one (1) NephMadness rally towel. Each individual in the winning Most Entries group will be awarded one (1) NephMadness rally towel, up to a maximum of 25 rally towels for the winning group. Each individual in the winning Highest Scoring group will be awarded one (1) NephMadness rally towel; up to a maximum of 25 rally towels for the winning group. Each individual in the winning Best NephMadness Party group will be awarded one (1) NephMadness rally towel; up to a maximum of 25 rally towels for the winning group. Each group winning a prize will also receive one (1) commemorative plaque. CLAIMING PRIZES/RELEASES. Prizes are non-refundable for cash and non-changeable once issued. If lost, prize elements will not be replaced. Prize winners are responsible for any and all expenses and taxes not included in the prize package, including, but not limited to, federal, state, and local taxes. All arrangements are subject to availability. Prizes are provided "as is" and without any warranty of any kind. Eligibility, age, and all claims made by a potential winner are subject to verification. If a potential winner fails to comply with official rules and/or to submit required documentation within the designated period, the prize will be forfeited. Potential winners will be contacted within 48 hours of the AJKD Blog post on April 8, 2019 that announces the NephMadness tournament champion. Potential winners will have 48 hours from time of notification to respond; if a potential winner does not respond within 48 hours, his/her prize will be forfeited. If a potential winner does not respond within 48 hours, or if he/she declines the prize, the Sponsor will contact the contestant with the next-highest point score, or the next Best Blogger or Best Tweeter or Group Prize Winner, as the new potential winner. For each potential prize, the Sponsor will attempt to contact up to three (3) potential winners; if 3 potential winners decline or fail to respond, the prize will not be awarded. Winners will be requested to grant permission to use their name and likeness in the AJKD Blog content, but agreeing to grant this permission is NOT a condition of winning the Contest. In accepting a prize, the winner further acknowledges that the Contest Entities have neither made, nor are in any manner responsible or liable for, any warranty, representation or guarantee, express or implied in fact or in law, relative to prize or prize suppliers or to any portion thereof, including by not limited to its quality, merchantability, mechanical condition, or fitness for a particular purpose. Sponsor shall not be responsible or liable for its failure to contact potential winners due to an incorrect, out of date or undeliverable mailing address, email address, or telephone number. Participants should be sure to update their user accounts regularly with their correct contact information so that they will be able to receive prizes if selected as a potential winner. The Sponsor is not responsible for fraudulent mail/email sent to entrants not by the Sponsor. GENERAL RULES AND REGULATIONS. The Sponsor and Contest Entities expressly disclaim any responsibility or liability for injury, death or loss to any person or property relating to the delivery and/or subsequent use, misuse, malfunction, availability, and delay in delivery of the prizes awarded. Sponsor and Contest Entities shall not be liable to winners or any other person for failure to supply the prizes, by reason of any acts of God, any action(s), regulation(s), order(s) or request(s) by any governmental or quasi-governmental entity (whether or not the action(s), regulations(s), order(s) or request(s) prove(s) to be invalid), equipment failure, terrorist acts, earthquake, war, fire, flood, explosion, unusually severe weather, hurricane, embargo, labor dispute or strike (whether legal or illegal), labor or material shortage, transportation interruption of any kind, work slow-down, civil disturbance, insurrection, riot, or any other cause beyond Sponsor's sole control. The Sponsor may modify, rescind, cancel, or revoke the promotion at any time in its sole discretion without notice or liability. By entering, entrants release the Sponsor and the Contest Entities, from any and all liability for injuries, losses, or damages of any kind resulting from participation in the Contest and/or acceptance or use (or misuse) of a prize, including any indirect, incidental, consequential or punitive damages. Sponsor reserves the right, in its sole discretion, to disqualify entrants who attempt to tamper with this Contest in any way. All federal, state, and local laws and regulations apply. Additional restrictions may apply. Bugs and Viruses; Irregularities/CANCELLATION. The sponsor reserves the right, in its sole discretion, to suspend, cancel or modify the Contest at any time if a computer virus, bug, malfunction, Manipulation, act of sabotage, act of God, or any other problem, regardless of the cause, affects, compromises, or corrupts the administration, security, or proper play of the Contest. Notice of cancellation will be posted at the AJKD Blog site. Prizes that are not obtained through authorized legitimate methods, or are the result of Manipulation, mechanical, electronic, digital or computer or other error, are void. Sponsor shall not be obligated to award any prize that relates to or arises out of an irregular entry or improper or mistaken prize notification, operation or function of this contest. No more than the stated number of prizes in these Official Rules will be awarded. In addition to the foregoing, if for any reason (including, but not limited to, strikes, lock-outs, acts of God, technical difficulties, and other events not within the reasonable control of Sponsor) Sponsor cannot continue the Contest, Sponsor may, in its sole discretion, cancel this Contest. GOVERNING LAW. All issues and questions concerning the construction, validity, interpretation and enforceability of these Official Rules and Regulations, or the rights and obligations of any participant and Contest Entities, shall be governed by, and construed in accordance with the laws of Pennsylvania. In any action brought to enforce the obligation or right of any party hereunder they consent to personal jurisdiction and venue in any court of appropriate jurisdiction in Pennsylvania. The invalidity or unenforceability of any provision of these rules shall not affect the validity or enforceability of any other provision. Server time: 1:09:07 PM Eastern Daylight Time.